Is your precious annual holiday the chance to lose yourself in a good book? If so, we have a small library with a selection of reading material to suit a variety of tastes including autobiographies, thrillers, detective novels, chick lit, light reads, local travel guides, and comedy books. So whether you prefer to read lying down on one of our comfy loungers or stretched out in the villa hammock; or alternatively sitting up keeping an eye on proceedings from a balcony seat, or chilling half-in and half-out of the pool at the Roman steps; you should be able to find a comfortable spot to relax and immerse yourself in the book of your choice. As usual with Victoria, this is a meticulously researched novel woven around the human side of the tragic events of 1974. 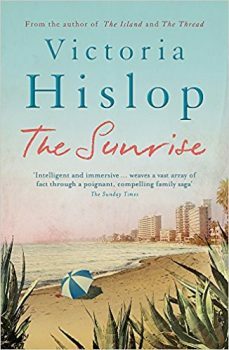 Set in Famagusta and Varosha which were favourite celebrity hangouts in their heyday (much like the South of France today). In those heady times the popular beach resort was regularly visited by all the glitterati of the time, including film stars such as Richard Burton, Elizabeth Taylor, Paul Newman and Joanne Woodward. Beginning prior to the invasion, when Greek Cypriots and Turkish Cypriots lived happily side-by-side in mixed communities, despite some political tensions, it shows how dramatically lives were changed by the Turkish invasion of the island. Guests will find hardback and paperback copies of Victoria’s excellent book in the villa library. 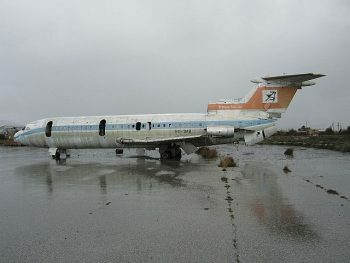 Even today Cyprus remains a divided island, with a ‘buffer zone’ patrolled by the United Nations and the world’s only remaining divided city: Nicosia. You can visit Northern Cyprus via the crossing point in the capital’s Ledra Street. Take passports and be careful not to take photographs near the border. We do not advise driving over as your rental insurance will not be valid. Another option is to take an organised tour, such as The Original Red Bus Tour from the eastern resorts which offers a full day guided tour to the Venetian walled city of Famagusta and the ghost resort of Varosha. It’s shocking to stand on the beautiful beach and see the dilapidation of the once thriving high-rise hotels behind the barbed wire. If you’re happy to make an early start, you can drive to Protaras and pick up the bus there. 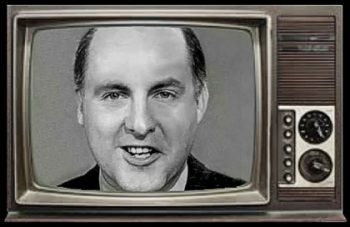 The well-known former ITN newscaster was a regular Pissouri visitor in the 1970s, choosing the area as the location for his fifth novel. Those who remember him from his serious news days, may be surprised to find that parts of the novel are rather racy! Although out of print, we have managed to track down a paperback copy of Gordon’s book for the villa library. Please treat it gently. Valerie is an ex-pat who has settled in Pissouri. She has written a light-hearted anecdotal holiday read about her experiences along the way. 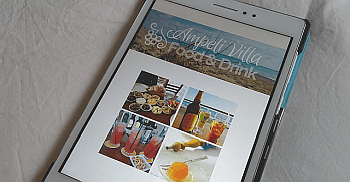 We missed our chance to get a print copy for the villa library, but it is currently available in eBook format. 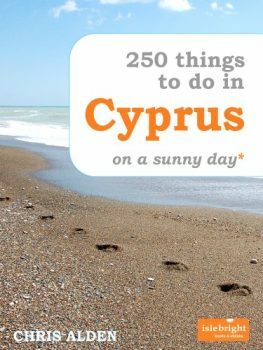 As a former Cyprus resident, with an insight into the culture through his Cypriot family, Chris’ travel guide offers a wealth of suggestions and tips. Although we have a print copy in villa library, you may be interested in buying the eBook version for yourself as it includes regularly-updated web links. 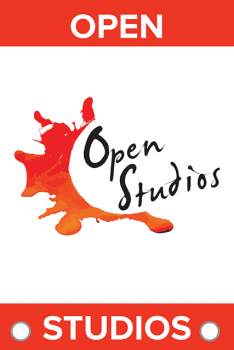 Each year Cyprus Open Studios gets bigger and better… Artists, sculptors, potters, painters, glass workers and jewellers dotted around the island open up their studios on selected October weekends. 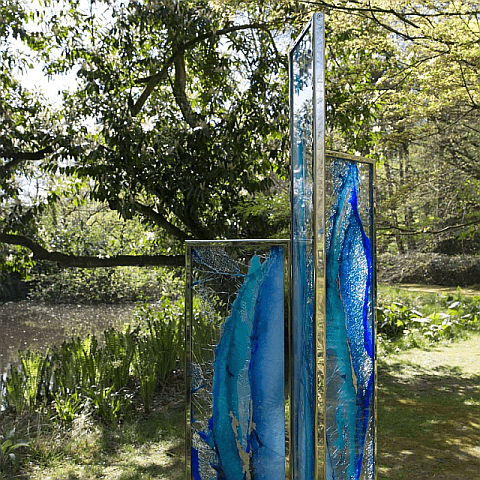 This gives visitors the perfect opportunity to combine exploring the area with meeting the artists, viewing demonstrations, buying ready-made pieces, or commissioning bespoke artwork. At some locations you can even get in touch with your artistic side by taking part in creative workshops. Below we have selected a sample of artists working in a variety of media. 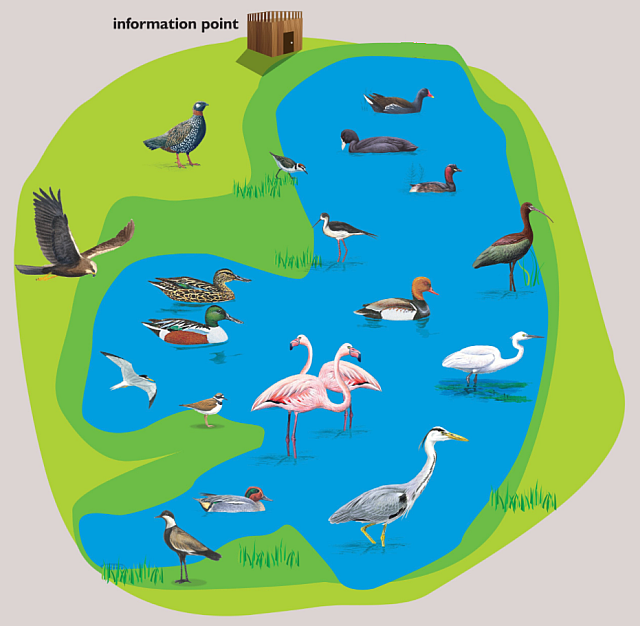 To see the full range, check out the map in combination with the catalogue. Follow Wine Route 3 through beautiful vineyard-clad hillsides and traditional friendly Cypriot villages. The route passes two small traditional wineries: Lagria and Nelion. Visit the studio of Yorgos Papadopoulos, a glass artist in Kedares producing works ranging from large sculptural pieces to silver and glass pendant jewellery. Open 7/8 October and 21/22 October. While visiting this north-west corner of the island, you could also visit the Baths of Aphrodite, where the goddess reputedly met with her lover, Adonis. 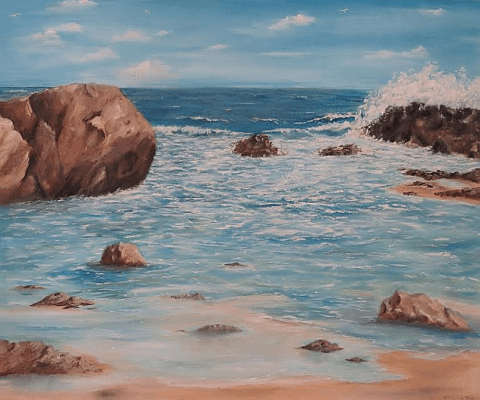 Trisha Payne enjoys painting landscapes, seascapes and villages in oils on canvases – large and miniature. She also paints designs roof tiles and makes and paints her own clay plaques. 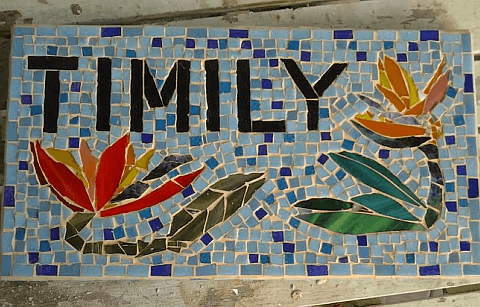 Linda Gardener makes mosaics from glass, stones, ceramic and found objects. 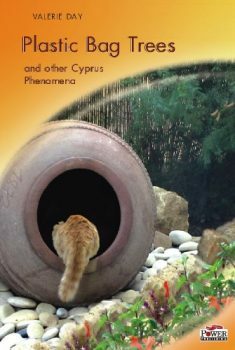 She is inspired by the animals and nature of Cyprus. She paints and draws and uses mosaic-making as an extension of this. She will demonstrate different methods of making mosaics using a variety of materials. Both open every weekend in October. There’s plenty to see and do around this main town, particularly this year as the town has the honour of being named European Capital of Culture, celebrated as ‘Pafos2017’. We recommend heading for the harbour as a first port of call, and maybe a visit to the adjacent World Heritage Archaeological Site with fantastic well-preserved Greco Roman antiquities. 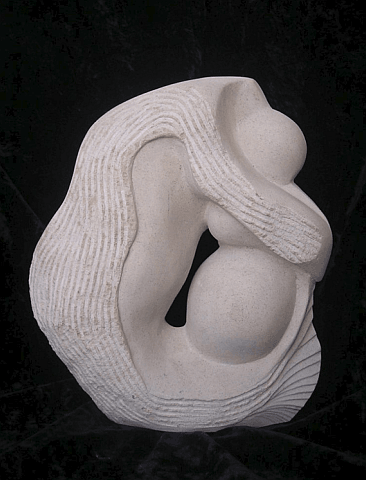 Karen Betts who sculpts in limestone and also cement/fibreglass/resin mixes, often studies of the female form. She also paints in an abstract style using fusions of water- and oil-based materials. 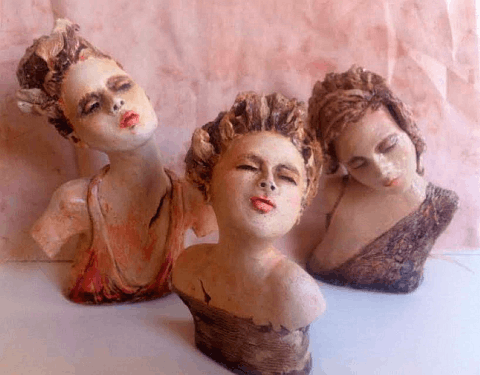 Julie Hart has been a figurative/portrait painter in oils for a number of years, and since moving to Cyprus in 2014, has developed an interest in Greek Mythology which she uses as inspiration for her oil and beeswax paintings, as well as her ceramic sculptures. 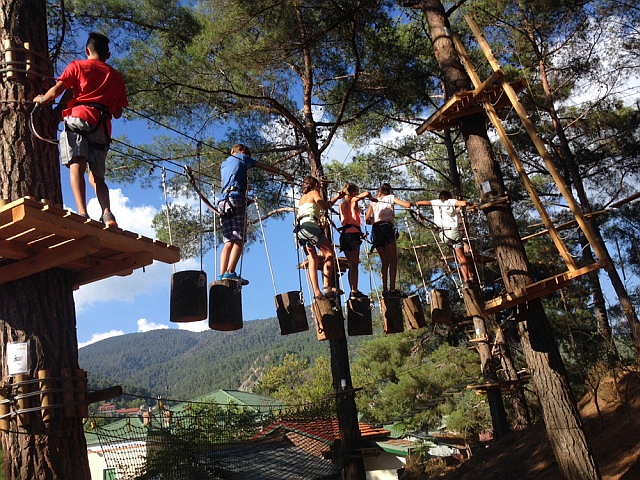 Both open 7/8 October, 21/22 October and 28/29 October. Near Pissouri, this interesting village was once a main carob-grower and is famous for ‘Pastelli’, a traditional sweet made from carob syrup. The village is also home to Oleastro, a museum dedicated to explaining the production of Olive Oil. Gabi Boehm is a textile artist specialising in felting and dyeing. 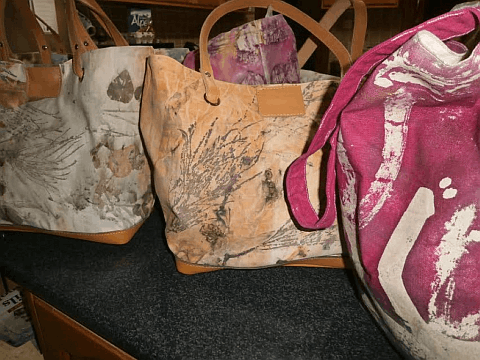 She prefers to work with natural fibres and dyes and loves creating interesting surfaces and textures. Open 7/8 October and 14/15 October. 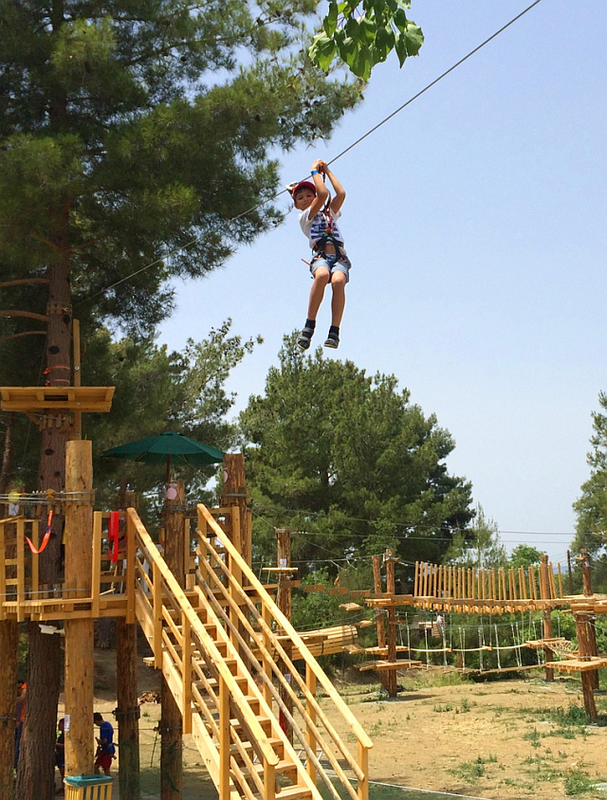 With Europe’s highest proportion of Blue Flag awards for the 12th year running, Cyprus is celebrating its best ever year. This year’s total of 63 beaches and 1 marina (Limassol) also beats last year’s 57. And we are proud to report that Pissouri is enjoying its 21st consecutive award.  Congratulations to all!  Yia mas! Visitors are more likely to see the more common Bottlenose Dolphin as it inhabits coastal waters as well as the deeper seas offshore. You can book wildlife-spotting cruises from the marinas of Paphos, Limassol, Latchi, Larnaca and Ayia Napa, so there’s plenty of choice, wherever you’re based. 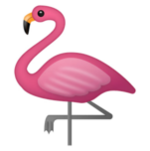 How and Why Do Flamingos Sleep on One Leg? The incredible answer is that due to their unique skeleton and muscle makeup, it uses less energy… see the video for the scientific explanation. They’re truly fascinating creatures! 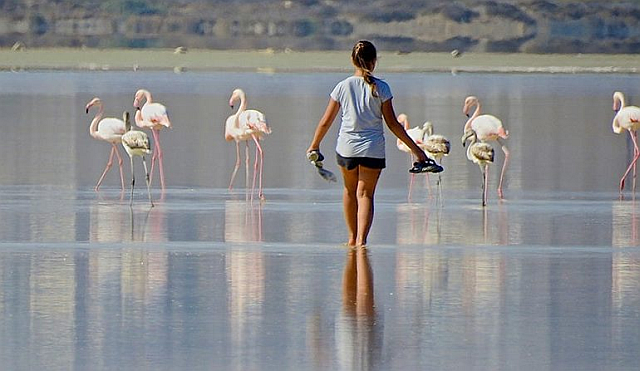 Visit Cyprus in winter and you can see them at Akrotiri and Larnaca salt lakes. 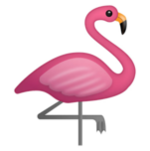 Video: How do flamingos sleep on one leg?